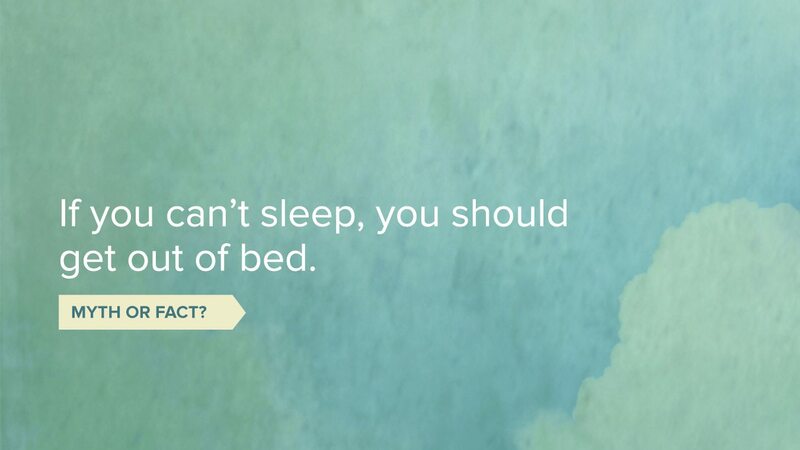 Although it’s crucial to health and happiness, a good night’s sleep can be elusive. We’re here to help. Known around the globe for our famously comfortable bed, Four Seasons is committed to helping you achieve perfect slumber. To that end, we’ve debunked common myths, uncovered global bedtime rituals and asked experts for their advice. Join us on an interactive room tour and discover how the new Four Seasons Bed can provide the sleep of your dreams, even after you check out—then share your own sleep tips and stories. Think you’re sleeping smart? 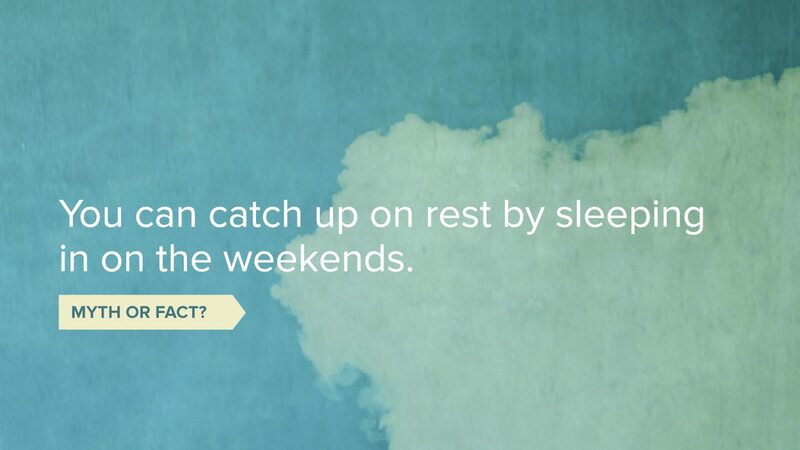 See which of the following statements about slumber are true–and which we’ve dreamed up. MYTH Missed sleep accumulates into sleep debt, which, like all debt, must eventually be repaid in full. Six hours of sleep missed one week must be made up with an additional six hours of shut-eye elsewhere—unfortunately, two extra hours on the weekend won’t cut it. 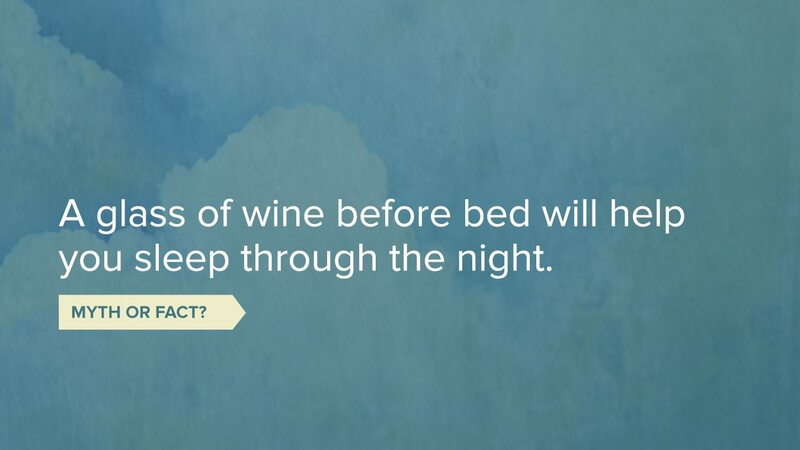 FACT Although it may seem counterproductive, if you’ve been awake for more than 20 minutes and cannot sleep, it’s best to get out of bed, go to another room, and do something relaxing, like reading a book. 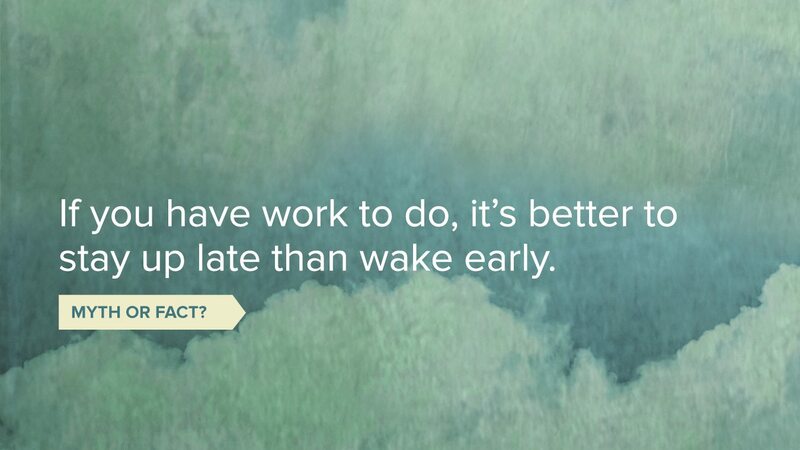 Go back to bed only when you feel tired. 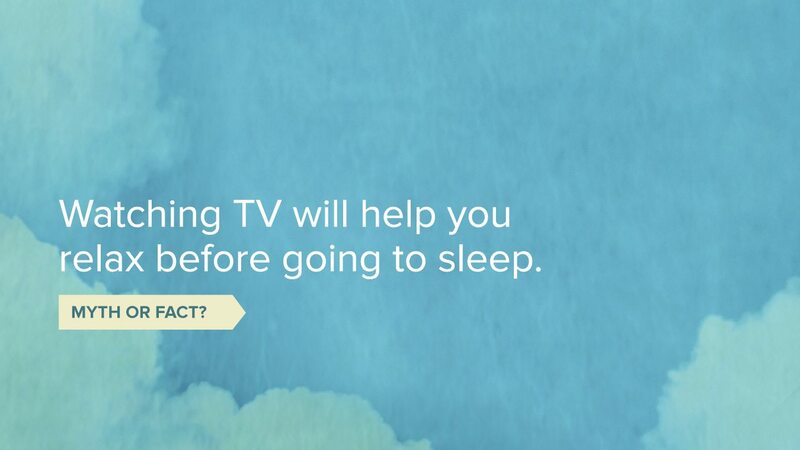 MYTH The artificial light emitted from electronic devices—including televisions, tablets and smartphones—suppresses the release of the sleep-promoting hormone melatonin and tricks your brain into staying awake. It’s best to unplug from everything about an hour before you want to go to bed. MYTH While it’s true that children need decreasing amounts of sleep as they grow, everyone requires between seven and nine hours of sleep each night once they reach adulthood. 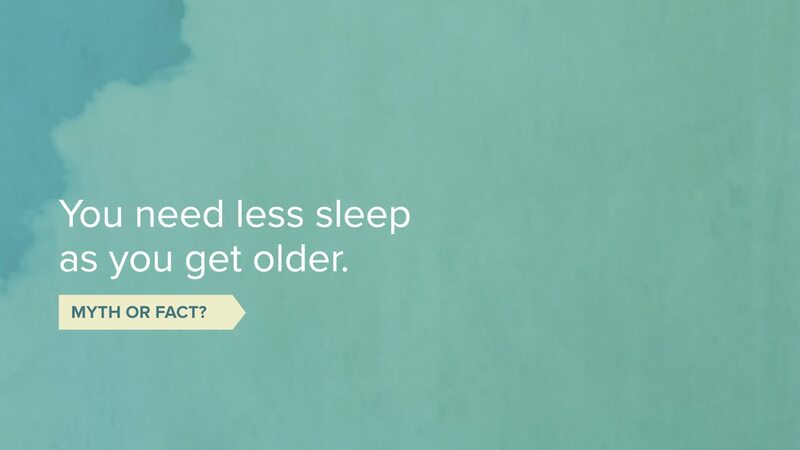 Sleep patterns may change as we age, but the total amount of sleep needed does not. FACT You sleep better early in the morning (2:00 to 6:00 am) than you do late at night, according to a Stanford University study. Trying to finish something? You’ll be better off if you power through, fall asleep when done and wake up when you usually do. MYTH If you want to enjoy an alcoholic drink, do so early in the evening. Although a nightcap may make you drowsy and even help you doze off, you’ll experience less restful and more fragmented sleep later in the night as the alcohol begins to wear off. Discover the vast and varied world of sleep with superstitions, legends and customs from cultures around the globe. 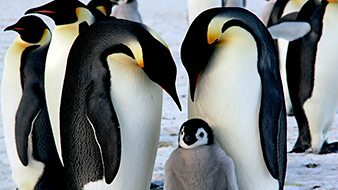 In Antarctica, emperor penguins sleep standing up for two reasons: First, to protect their eggs, and second, to maintain minimal contact with the freezing ground. To conserve energy in frigid temperatures, they may sleep—on their feet—for as many as 20 hours in a 24-hour period. 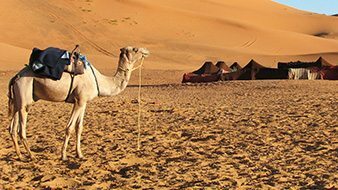 The Bedouins, a traditionally nomadic race that originated in the deserts of the Arabian Peninsula, are known for their travelling settlements and for the distinct tents in which they sleep. Today, visiting and exploring these dwellings is a popular cultural excursion for visitors and tourists. The Lakota tribe of the northern Great Plains in the U.S. believes that dreams float through the air. 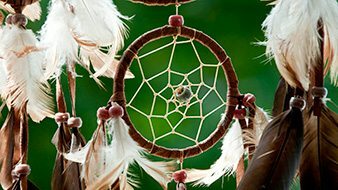 Dreamcatchers, now a familiar Native American symbol, were created to stop children from having nightmares: Good dreams in the air pass through the holes of the web, while bad dreams are trapped. In Australia, members of Aboriginal tribes slept with their dogs, who kept them warm when temperatures dropped. 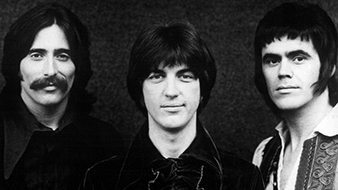 On especially freezing nights, they’d sleep with as many as three—a behaviour that inspired the name for the popular 1960s American band Three Dog Night. 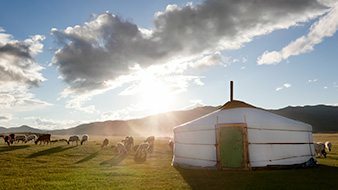 Dream interpretation has been a Tibetan tradition since ancient times, when shamans used dreams to diagnose sickness and understand spiritual relationships, and female dream-tellers made predictions for the government. 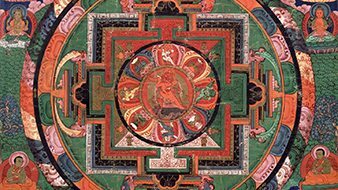 Today, Tibetan dream-tellers and visionaries continue to predict the future. 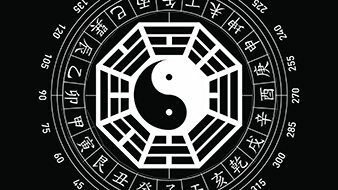 According to the practice of feng shui, which originated more than 2,000 years ago in the mountains of southwest China, you should sleep with your feet away from the door to avoid losing energy—or life force—during the night. Traditional Mongolian dwellings, or gers, are constructed with a Buddhist shrine opposite the bedroom door. To show respect, Mongolians traditionally sleep with their heads towards the altar and their feet towards the door. 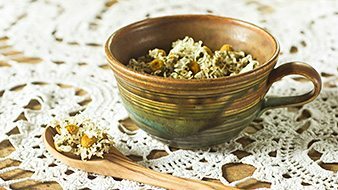 Camomile is used universally as a sleep aid, but its relaxing properties may have been discovered first by ancient Egyptians, who used it as an ingredient in massage oils to remove sickness, aches and pains. 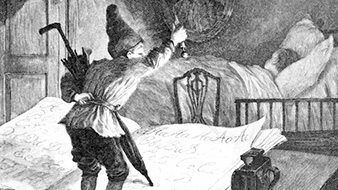 In northern European folklore, the Sandman sprinkles sand in the eyes of children to help them sleep and bring good dreams. One of the most popular retellings of this legendary tale, Ole Lukøje, was written by Hans Christian Andersen, who lived in Denmark. 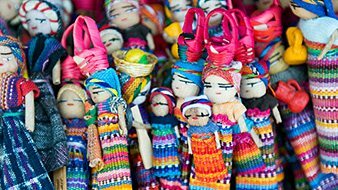 At bedtime, Guatemalan children tell their worries to tiny dolls before placing them under their pillows. During the night, the “worry dolls” fret while the children sleep peacefully and awaken to find that their worries have been taken away. 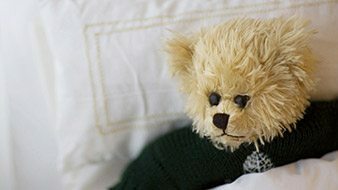 Don’t expect a chocolate on your pillow when you stay at Four Seasons: According to Isadore Sharp, who founded Four Seasons Hotels and Resorts in Toronto, eating sugar before bed doesn’t promote a good night’s sleep. You won’t find traditional beds in the communal homes of the indigenous Yanomami people, who call the Amazon rainforest home. 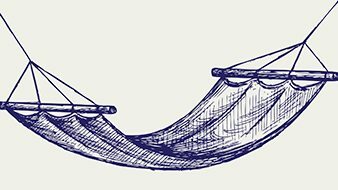 Instead, the tribe’s members doze in hammocks—made of cotton or vines—that hang near a fire for warmth. 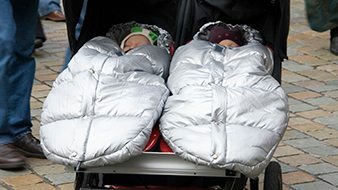 Many babies in Sweden nap outside in their strollers year round—even in freezing temperatures, when they’re dressed in wool clothes and wrapped in a sleeping bag to keep warm. The reason? Exposure to fresh, brisk air is thought to make children less susceptible to sickness, especially during the winter. 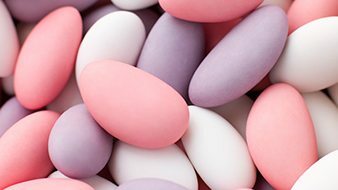 Guests at traditional Greek weddings receive favours of koufeta (sugared almonds) at the end of the celebration. According to custom, if a guest places the almonds under their pillow before going to sleep, the person they are destined to marry will be revealed in a dream. 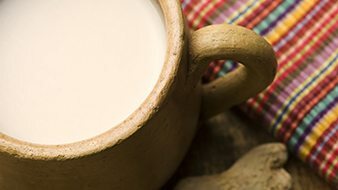 Though its efficacy has been commonly considered an old wives’ tale, the practice of drinking warm milk before bed has actually been used for thousands of years in Ayurvedic medicine as a remedy for restless nights. Lack of sleep is believed to deplete one’s ojas, which promote strength and immunity. Explore this room and uncover the Four Seasons details that make it ideal for sleep and rest. Four Seasons implements technology in its rooms to make your life easier and less stressful. 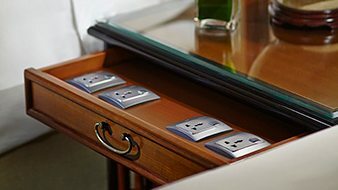 You can control electronic drapes with a bedside console, read with personal lights while your partner sleeps, display your devices onscreen using a connectivity panel, and ensure everything works when you need it, thanks to easily accessible outlets. 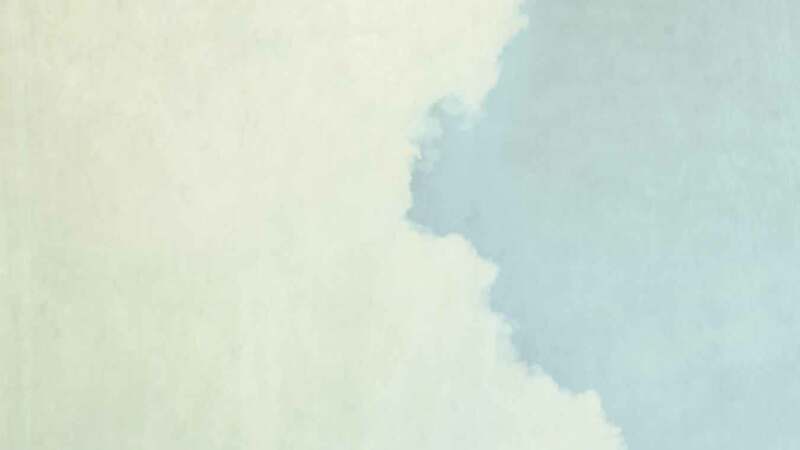 By incorporating abstract art, curvilinear lines, soft textures, and organic and repeating patterns, the interior designers at Four Seasons make conscious decisions to use serene elements that are scientifically proven to elicit a positive reaction in the brain, creating a soothing atmosphere for sleep. 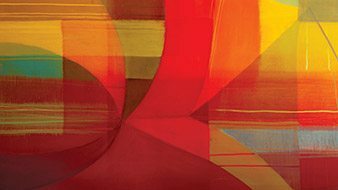 When designing rooms, Four Seasons considers how the body’s circadian clock is influenced by light. Large windows allow abundant natural light into the room, while blackout curtains allow jet-lagged travellers to rest throughout the day. During standard turndown service, interior lights are dimmed to prepare the mind for sleep. 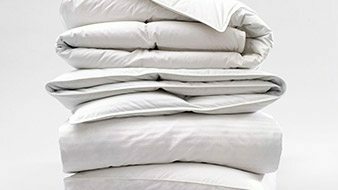 Four Seasons guests can wrap themselves in luxurious 300-thread-count Dobby Sateen cotton sheets. Add a plush duvet and four pillows per bed—a choice of feather or non-allergenic—and you’ll be on cloud nine, floating above the cares of the world (and dialling the front desk for a late check-out). 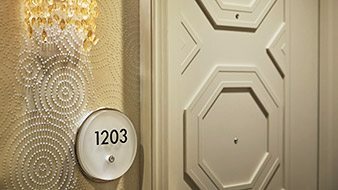 Four Seasons prides itself on creating a quiet room. With stringent noise standards for air supply units, gasketing around doorframes, insulation around pipes, and details like rocking light switches and melodious doorbell chimes, each room has optimal sleep acoustics that are among the best in the industry. Four Seasons wants its guests to feel at home. Temperature can be adjusted almost instantaneously with high-quality fan units, empowering guests to create a personal oasis. Open views allow guests to orient themselves within the building and destination, while operable windows and separate ducts provide fresh air to each room. 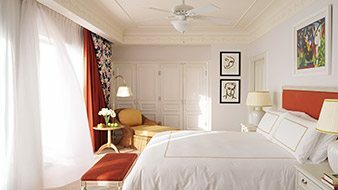 The centrepiece of every Four Seasons room is the world-renowned Four Seasons Bed. 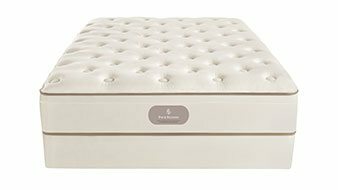 The mattress is custom designed with exclusive temperature regulation technology and three unique topper options—Signature, Signature Plush or Signature Firm—for the ultimate in personally selected comfort. Toes have plenty of room to breathe in the always-well-made Four Seasons Bed, thanks to the brand’s particular foot fold: Housekeepers tuck each flat top sheet with an 8-inch pocket along the bottom so guests can easily move their feet. After a long day of travel, return to Four Seasons to discover a tidied room with belongings straightened, an alarm clock and glass of water placed bedside, drapes pulled, the bed turned down and pillows fluffed. Keep an eye out for a local surprise and personal touches. Experience our Signature Sleep even after you check out.